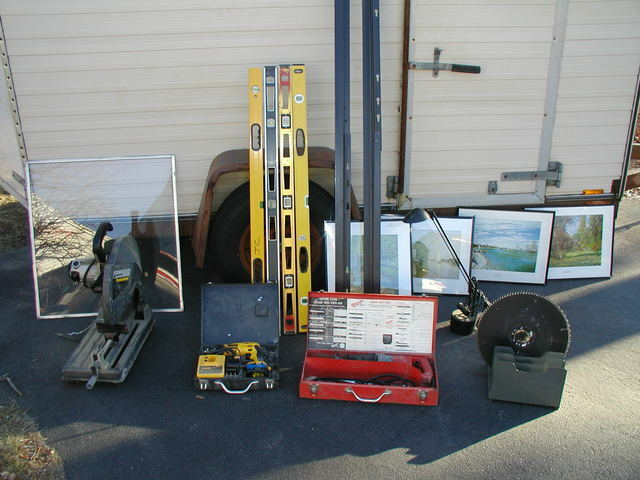 Today's trip to the dump yielded a cornucopia of tools! At left is a 14" metal cut-off saw, works perfectly. A Dewalt 12 volt cordless drill, the batteries are weak but for my purposes they'll work fine (for wood working I can now keep a Phillips driver in one drill, a countersink bit in a second and a drill bit for through holes in the third. These batteries are fine for the counter sink or the drill bit.) Four 4' levels, none are damaged though they may need calibration with shims. A Milwaukee sawzall - needs a switch. Bed frame - my prime source of angle iron. 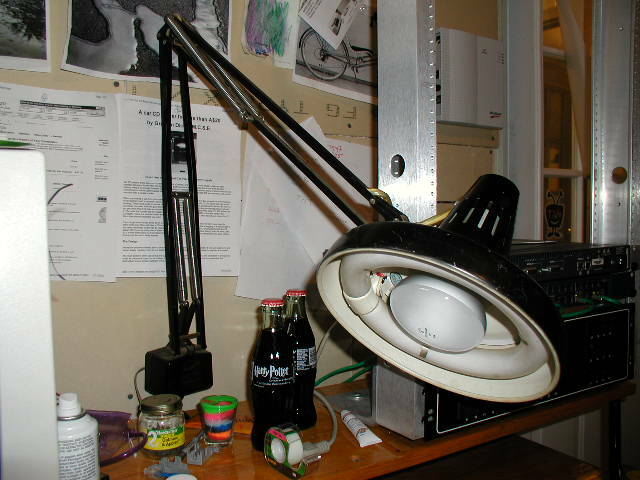 A Halogen desk lamp, works and even has a good bulb. Four Monet prints. a folder rack and a 14" carbide finish cut saw blade - man that's gotta be a $100 blade and it is nearly unused! A good day at the dump ! It's a Nishiki 12-speed, probably from the 1980s. The foam and chrome plating on the handlebars has been worn through but the rest of the bike is well cared for and appears nearly new. The alloy rims are almost untouched so I suspect the bike was well ridden and rebuilt but then left un-ridden for many years until it was time to clean the garage. I gave the bike to a friend of mine who to date has had only mountain bikes. I rode with him a couple of weeks ago and I while he pedaled as hard as he could down a slight incline I gently squeezed my brake to keep behind him. 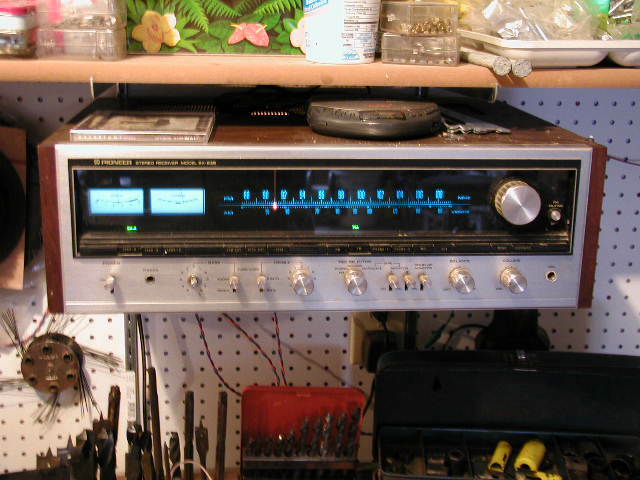 It's a Pioneer SX-838 receiver. All it needed was a little contact cleaner squirted on the controls. 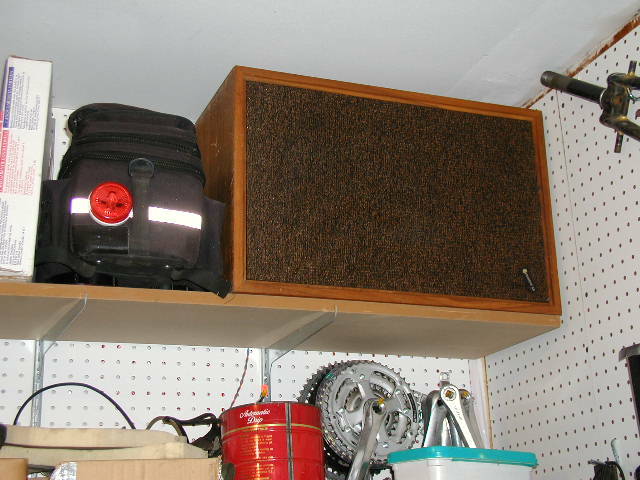 With 100 Watts of power it makes a great workshop stereo coupled to a pair of Criterion 4-way speakers I found last year. 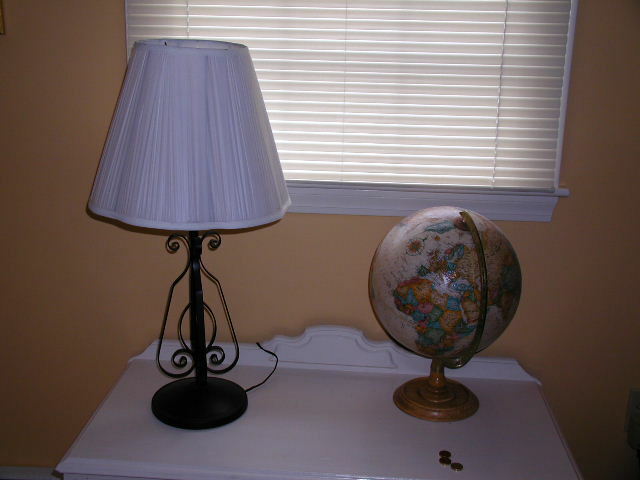 A great Luxo desklamp - combo flouresent and incandesent. The desk clamp was attached and both bulbs were good! Plastic bins. 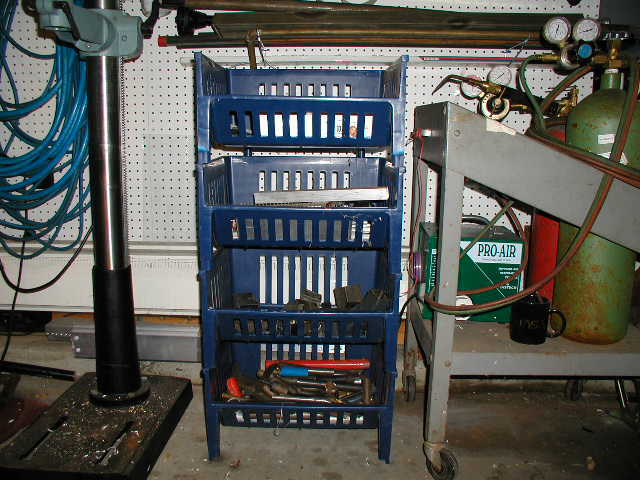 Perfect for metal scraps and shapes in my workshop. It's an HP LaserJet 5L printer with a nearly full toner cartridge. 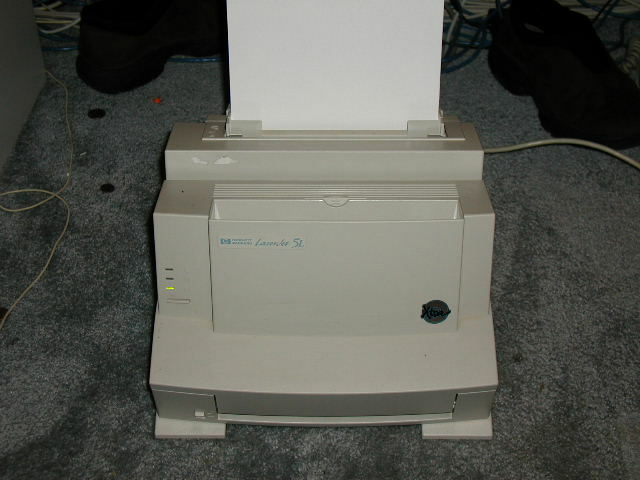 It worked fine except that it always fed all of the paper at once. A friend has an HP 6L printer with the same problem and said there was a free repair kit available from HP. A quick search of some online forumns verified that the kit would also work on the 5L. I ordered the kit online here. It took 5 minutes to install and now the printer works perfectly! 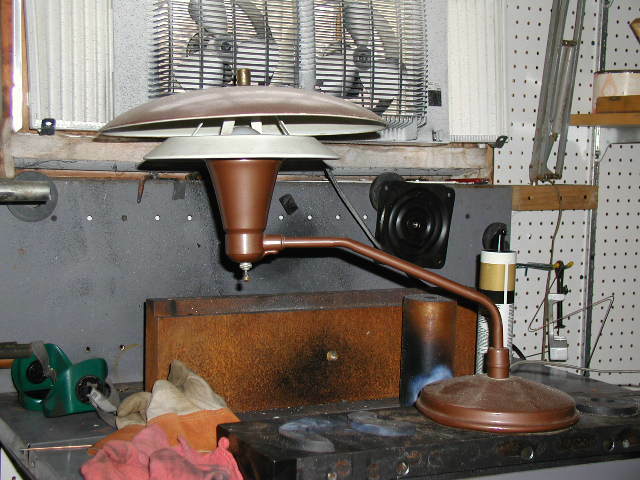 Look at this awesome 1950's desklamp! It needs a little fix-up and I plan to paint it silver-gray metalic. 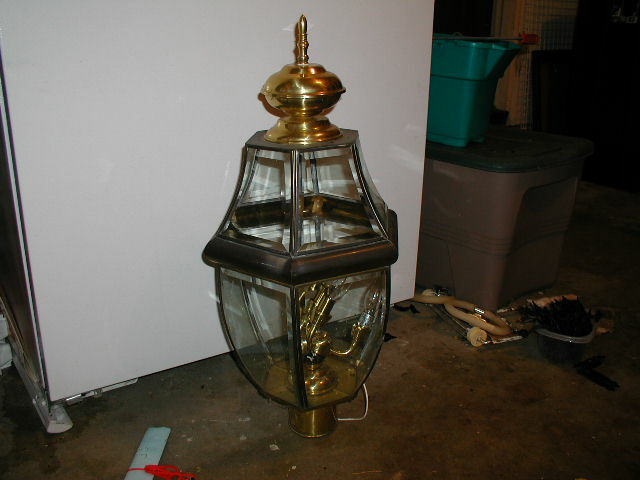 One day soon I'll dig a trench and mount this lamp on a post by the end of the drive. 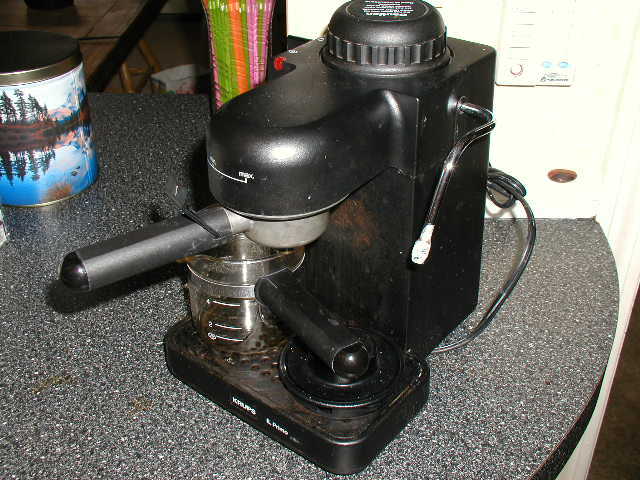 This cappuccino maker was brand new and had never been used!